The "Centro Caprense Ignazio Cerio" is much more than just a museum. 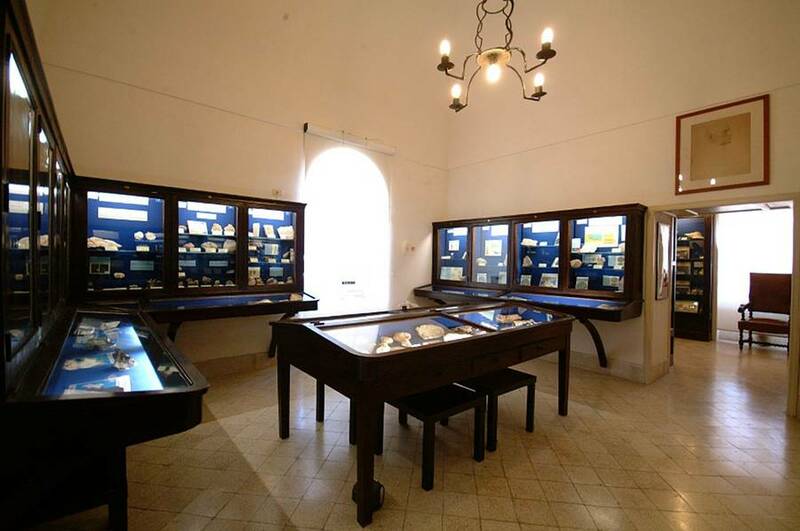 Founded in 1949 along with the public library by Edwin Cerio and Mabel Normann, the Cerio Museum was conceived as a cultural center highlighting and preserving the history and origins of the Island of Capri. Indeed, inside the museum's four exhibition halls, visitors can trace the entire history of the island, beginning with fossils and geological samples dating from far before the island was inhabited, and was still a promonitory of the Italian peninsula in the Bay of Naples. This walk through history also holds a number of surprises, including remains of a hippopotamus, a panther, and a mammoth (yes, a real mammoth! ), all of which were found during the contruction of the nearby Grand Hotel Quisisana. A visit to the library to leaf through historic drawings, magazines, and postcards of Capri. The museum also holds a collection of sea animals, including starfish, sponges, and sea urchins, and a preserved specimen of the rare "blue lizard" which lives exclusively on the Faraglioni sea stacks off the island's coast. In the prehistoric collection, there are a number of objects, vessels, and tools used by the first human inhabitants on the island, along with a magnificent terracotta female profile from the 1st or 2nd century BC. To get an idea of the glory of Capri during the Roman age, visitors can linger in the Archaeological collection, where there are displays of colored plaster, stucco, ceramics, oil lamps, mosaics, marble, and other decorations and remains found over the years in the sites of the islands grand Roman villas, including Villa Jovis, the island retreat of the Emperor Tiberius. Before leaving, the library is also worth a stop. Here there is the best curated collection of printed materials dedicated to Capri in existence, including a number of small treasures like leaflets and magazines from as far back as 1769, guest books from the first hotels on Capri, and maps, postcards, drawings, vintage photos, and sheet music.